The population has increased many folds in last few years. This has gradually increased the number of people in the senior age category, who may or are in constant need of medical attention. At the same time fast paced life has along with its added advantages, has added to traumatic health condition of population in nearly all age groups. All this put together has brought about a significant rise in people who are actively involved in the process of distributing superior quality health care which is inexpensive as well – these professionals are called Nurses and their profession is called Nursing. 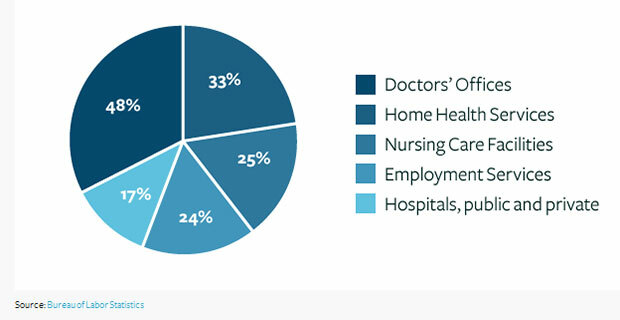 Nursing is one of the segments with highest number of health care professionals across America and world. Decades back nurses were considered to be simple assistants for replacing hospital room bed sheets – bring food to patients – helping patients to walk in corridors for a change or refreshment, who have been in bed since long – cleaning patient’s urine pan or changing diapers to adult or immature patients and so on. But this scenario has now changed – and the change is amazingly drastic. It is now a profession that has evolved with prominent pace changing the entire thought process about traditional nurses. Apart from diagnosing and treating patients in need of medical attention – nurses have come up to a level of taking up patient’s A to Z responsibilities. Biological – emotional and cultural needs of the patient along with patient’s family as well is something that nursing emphasizes on nowadays – taking ahead nursing profession from all other health care professionals significantly. These professionals have also taken up the role of educators where they provide preventive health care to individuals. Nurses also conduct research in the areas of basic and applied sciences – paving their way of becoming faculty in popular schools – colleges and universities. In simple words - we all know that till time people need medical care – they will need doctors and doctors in order to put across the right kind of treatment, will need assistants in form of Nurses. Median annual wages for nurses or nursing salaries have evolved from a mere $40,000 in 2002 to nearly $66,000 in 2012, bringing this profession in the list of best jobs of 2013. Starting Salaries...depend on entry to nursing education and online nursing rankings as well; because they put across how well you studied. Patient’s medical condition including observation – interview and examination is being assessed by a nurse. Post assessment, the nurses are supposed to analyze the situation while generating a diagnosis. Anticipation of prospective physical and psychological issues is considered. High risk patients are referred to seniors for further consideration in order to prevent serious complications. Going further the nurse charts out an appropriate treatment method. Implementation of this treatment involves –building favorable health healing environment – executing treatment as suggested by the physician – counseling the patient and patient’s family while promoting timely and accurate recovery. Nurses at times also suggest methods of treatment basis the improvement in the patient’s health situation. Nurse practitioners performing advanced roles are actively instrumental in diagnosing – interpreting diagnostic tests – suggesting therapeutic medication and intervention – performing procedures including suturing, intubation, and central line placement – performing as case managers and so on. There are various types of nurses – each varies from each other in terms of job description – education required – required clinical experience and professional status as well. Supervised by RN – 12 to 18 months study tenure for LVN programs generally at specific technical or vocational institutes – Clearing state-licensing exam is mandatory for Practicing LPN or LVN. Basically comprise of registered nurses with graduate (master's level) degree with educational preparation and advanced clinical experience which helps an individual to qualify as a nurse specializing in clinical focus area or specialty practice. These nurses conduct physical exams and screenings – Diagnosing and treating diseased or injured patients – ask for assessment and interpreting lab tests and x-rays - take medical histories - Counsel, educate, and promote health care prevention – eligible to prescribe medication in all 48 states – may open one's own practice – may and shall legally practice independent from physician's supervision and carry specialties while practicing for various segments such as Family, Pediatric, Acute/Critical Care, Adult, etc. They provide obstetrical and gynecological care to women during their childbearing years including prenatal – labor – delivery. They also are experts at postpartum care - care to women throughout their lifespan. They are eligible to prescribe medicine in 33 states out of the 48 states in America. These are nurses who are clinical practice experts at Health Assessments – Diagnosis –treatments – researcher – consultant. They offer primary care along with psychotherapy to patients with either mental or physical or both, health problems. They also stay abreast the latest in current technology. They perform duties as Specialists in psychiatric/mental health – gerontology – oncology - occupational health any many such segments. 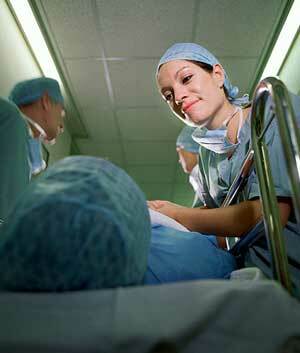 They administer anesthetics to patient while they also can practice independent of the MD anesthesiologist. Offer their services in various situations wherever anesthesia is given; may it be operating rooms - emergency rooms – ambulatory settings – dentists and so on. These nurses work as and for Consultation - Case Management - Entrepreneurial Roles - Business and Finance - Management of Health Services and such administrative settings. Projected growth of nursing profession is very promising. These services include outpatient care centers (patient’s do not stay overnight) – centers offering same day chemotherapy – rehabilitation - surgery. Increased and enhanced – complicated yet sophisticated procedures are either conducted at a hospital or either at a physicians' office by a professional nurse. Financial pressure on hospitals to discharge the patient at the earliest is the result of more people being admitted to long term care facilities – leading to demand of more and more home healthcare, which is provided only by nurses. As time passes a large population which is growing older gradually will need home healthcare – bringing about a boom in this sector. Registered nurses will be in demand at facilities that provide long-term rehabilitation for stroke - head injury patients - Alzheimer's disease - memory loss – dementia and many more. There are about 2.2 million registered nurses in America – with approximately 3, 00,000 of these are with certification in a specialty area of nursing. Successful nursing careers take off from one of the three launch pads...a bachelor's degree in nursing - an associate’s degree in nursing – a diploma from an approved nursing program. It is mandatory for nurses to attain license by clearing the national licensing examination. 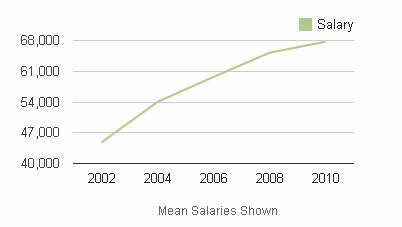 Costs of graduate nursing education is approx $6,000 only as tuition fees. 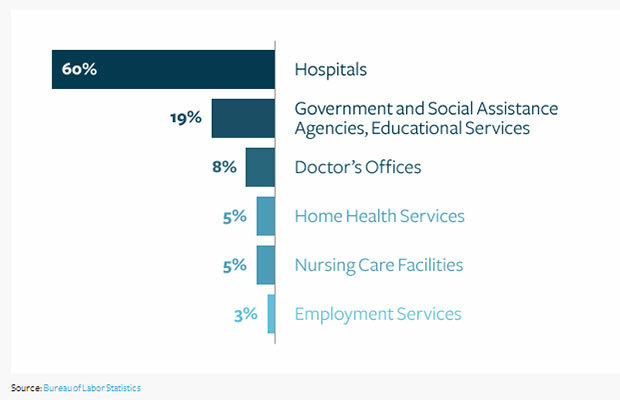 26% is the growth that is being expected of the nursing profession from 2010 to 2020; which happens to be faster than the average of all other occupations. This growth is expected in light of technological advancements - treatment available to a great number of health problems - increased emphasis on preventive care – increased population in seniority bucket needing more health care attention. One may also expect faster than average growth in traditional hospital settings - non-hospital settings including physician’s offices and home healthcare services.